James McGrath has noted that in his recent class on Revelation he required his students to contribute to the Wikibooks commentary on Revelation. This sounds like an interesting project and I will need to talk further with the good Doctor to learn how he went about it. In the mean time you can read the results here. Below is an example of what you will find there. I chose Revelation 13:18 to see what they had to say about the mark of the beast. Good stuff! 18Here is wisdom: Let him that has understanding count the number of the beast, for it is the number of a man, and his number is six hundred and sixty-six. Commentary: Of all the verses in Revelation, Rev. 13:18 has easily received the most attention. There have been many interpretations regarding the number 666. It may simply signify incompleteness and chaos by virtue of the fact it falls short of the perfect 777. However, gematria, the ancient practice of assigning letters numerical value, was common in John’s day. Going the other way (numbers to letters) involves a little more guess work after 2000 years. Having said this, the Greek to Hebrew to number translation of Nero can produce 666. Also, the word Beast itself also produces 666. It seems John is showing as explicitly as he is able that 666 is the Beast is Nero is 666, etc. Nero is also a likely candidate due to his rampant persecution of christians. Furthermore, he would have been extremely well known to John's audience, so that even after concealing his identity in the number, the beast would have clearly stood as a symbol of Nero. Additionally significant is the fact that 666 is the eighth sequential doubly triangular number; that is, it is the eighth number which is the sum of successive numbers beginning with 1 whose last number in the series (in this case 36) is also triangular. Some have argued that this could be the meaning of the symbolism of the beast having seven head, with Nero being the eighth and the beast himself. This may be pushing the symbolism too far. There is actually some contention that the number is not, in fact, 666, but is instead 616. This can be found in some early manuscripts of the book. These are certainly in the minority, although they are not totally without merit. This comes from using the Latin form of Nero's name, translating it to hebrew, and then assigning a number value to the letters. This is the same process discussed above which translates the letters of Nero's name to 666. You are the winner of the Ephesians volume. Send me your address in the comments section and I will send it to you. I will not publish your address. Was Jesus Born in a Stable? Mark Goodacre has uploaded his latest installment of the NT Pod. In this episode Mark looks at the translation of Luke 2:7 and asks: "was Jesus born in a stable?" He covers some of the same material of that I did in my own post asking "is there finally room at the inn"? But, as usual, Mark provides a masterful presentation of the material. 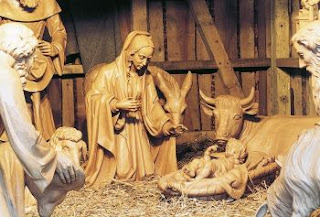 What he points out is while there is a manger, there is no inn keeper and no stable. You can hear what he has to say over at the NT Pod page. The Date for Christmas: When was it decided and did Christians steal it from the pagans? Last year Biblical Archaeology Review ran an article that Andre McGowan in which he provides a historical outline for how December 25th came to be the day the church celebrates Jesus' birth. It is a well-written, balanced article. McGowan argues that the popular notion that Christians stole the day from the pagan's may not be all that accurate. Here is an excerpt. The most loudly touted theory about the origins of the Christmas date(s) is that it was borrowed from pagan celebrations. The Romans had their mid-winter Saturnalia festival in late December; barbarian peoples of northern and western Europe kept holidays at similar times. To top it off, in 274 C.E., the Roman emperor Aurelian established a feast of the birth of Sol Invictus (the Unconquered Sun), on December 25. 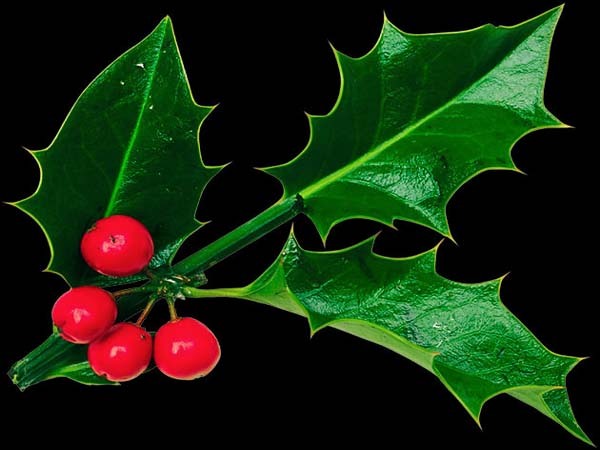 Christmas, the argument goes, is really a spin-off from these pagan solar festivals. According to this theory, early Christians deliberately chose these dates to encourage the spread of Christmas and Christianity throughout the Roman world: If Christmas looked like a pagan holiday, more pagans would be open to both the holiday and the God whose birth it celebrated. More recent studies have shown that many of the holiday’s modern trappings do reflect pagan customs borrowed much later, as Christianity expanded into northern and western Europe. The Christmas tree, for example, has been linked with late medieval druidic practices. This has only encouraged modern audiences to assume that the date, too, must be pagan. There are problems with this popular theory, however, as many scholars recognize. Most significantly, the first mention of a date for Christmas (c. 200) and the earliest celebrations that we know about (c. 250–300) come in a period when Christians were not borrowing heavily from pagan traditions of such an obvious character. Thanks to Derek Leman for the link. 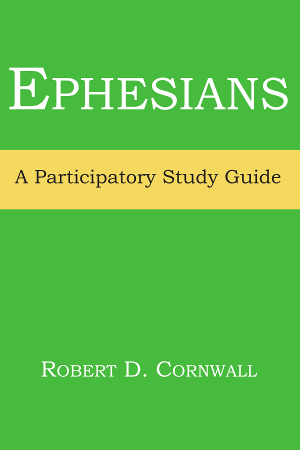 Allan Bevere and the folks at Energion Publications have been kind enough to provide me with an advance reader copy of a participatory study guide to Ephesians. As an author, Robert Cornwall is uniquely qualified to write just such a volume. He is the Pastor of Central Woodward Christian Church in Troy Michigan and he holds a Ph.D. in Historical Theology from Fuller Theological Seminary. 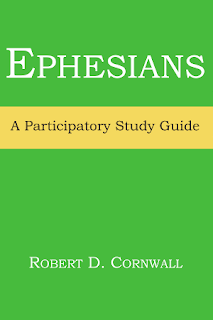 What that means is that Cornwall brings together the concerns of both the Pastor and the Scholar as he leads the reader through a study of Ephesians. Indeed Cornwall has this say about the volume: "Faith and understanding are not mutually exclusive categories, and this study seeks to draw them together" (1v). I am impressed with Cornwall's efforts. He has done a fine job bringing in both theological and pastoral concerns (not that they are or should be different than one another). He is also not afraid to shy away from difficult, yet important questions. For instance, in the first lesson he dives right into the debate over whether Paul wrote Ephesians or if someone wrote it in Paul's name. The topic of pseudonymity is not usually on the mind of those not engaged in scholarly debates. But Cornwall does not "protect" the reader, but instead draws the reader in to consider the implications. And as far as I can tell, he does not tell the reader what to think. Rather the reader is engaged further in the discussion questions when he asks them to think about how pseudonymity might or might not effect a reading of Ephesians. Another strength is the way the reader is introduced to the wider Christian tradition. The opening closing prayers of each lesson are taken from the various hymn and prayers that have been handed down to us across the years. In one lesson the reader begins with a prayer by Reinhold Niebuhr (20th cent) and concludes with one from St Dionysius (3rd cent). In this fashion, the reader interacts with and appreciates the continuum of Christian worship throughout history. The volume is complemented by a useful appendix listing some recommended "tools" for doing Bible study. This is particularly helpful since several of the exercises include reading in Bible dictionaries or commentaries. Cornwall's selection will help the reader to find and use a quality resource. I commend Robert Cornwall and Energion Publications for producing a thoughtful study guide that does not spoon feed information to readers and supply with trite solutions to make it through life. Rather, this volume will challenge the reader to think as well as learn. It would serve either an individual or group study, but I think a group setting would make the interaction all the more valuable. I look forward to seeing other similar study guides in the future. The release date for the Ephesians guide in January 3rd. I have decided that I will do a giveaway with this volume. Leave your full name in the comment section of the post. I will take names until 11:55pm on Thursday, December 16th. I will choose the recipient on Friday. Trevin Wax has an interview with Scot McKnight based on Scot's recent article "Jesus vs Paul" in Christianity Today. Trevin asks Scot to think a little more about the apparent conflict between Paul's justification centered Gospel and Jesus' Kingdom Centerer Gospel. Read it here. Thanks to Jim West for this. Was Canada responsible for the worldwide flood? Well, not really. 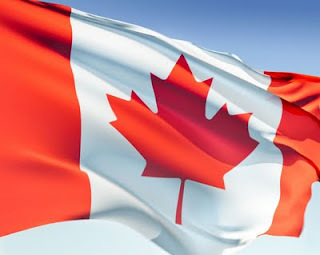 But a recent article suggests that it may have been triggered by an event in what is now Canada. The multiple flood stories from antiquity, including the one in Genesis, have often led scholars and scientists to suspect that the stories were reflecting memories of a historical event. They have surmised that a localized, catastrophic flood gave rise to the world-wide flood stories we know so well. Recently a British scientist suggested that the flood was triggered when the ancestor of Lake Winnipeg burst its banks 8,000 years ago. An article in the Montreal Gazette had this to say recently.